I didn't complete the story of how our day really ended yesterday. It happened on New Year's Eve. My "tough it out", "keep doing your chores and work it off" coaching just didn't seem to be very effective. We were going to take her in on Monday to the doctor and she pleaded with me to take her in to the ER last night. I am grateful I obliged her. 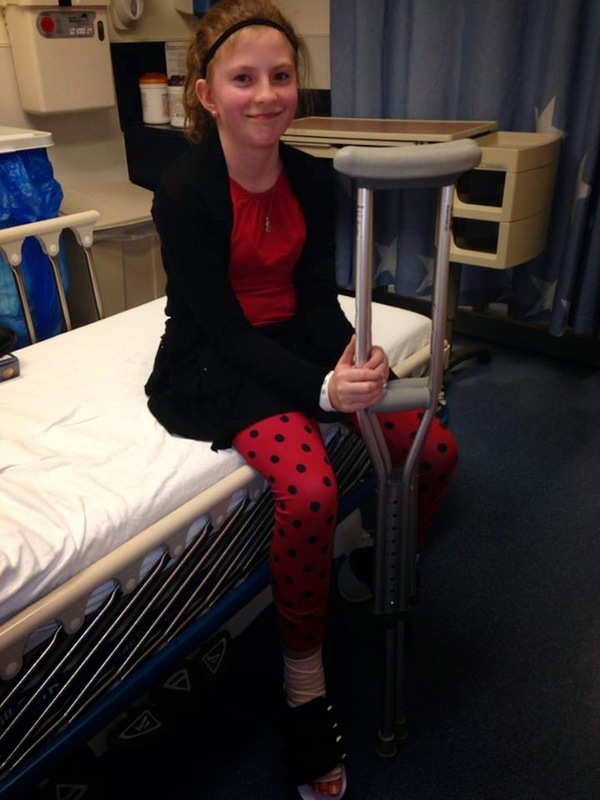 2 weeks on crutches and a pass getting her out of P.E. She is absolutely giddy for both. You think with all the special equipment we have around here it wouldn't be that exciting to her. Perhaps she is just excited that has a foot that will finally feel better. Quality mothering. I own it.